During the last weekend we visited Fota wildlife park in county cork and spent many great hours getting to know many of the animals they have in their care. The weather was perfect during the time needed to walk around all the islands and planned routes around the park, with many of the animal on open display and very easy to view you get a very personal experience. Sometimes called the Red-necked Wallaby, the species has a mainly grey coat with reddish shoulders and a black nose and paws. The male’s body can measure up to 90cm in length and weigh up to 18kg; the female, in contrast, is smaller – though both have five clawed-tipped fingers that are used for feeding and grooming. A native of the east coast of Australia and Tasmania, the Bennett’s Wallaby is noctural – resting during the day and coming out to feed at night. Largely a solitary animal, it follows a herbivorous diet and gains most of the water it needs through the food sources it consumes. 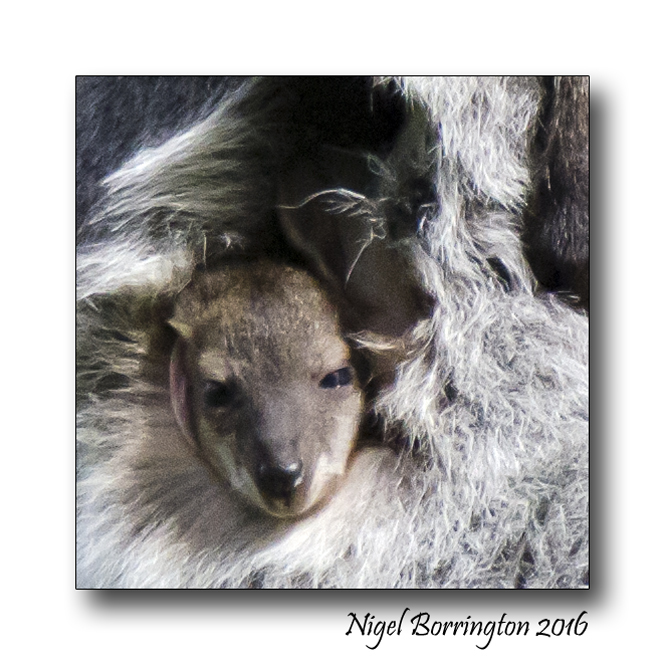 Breeding can occur at any time of the year with females giving birth to one offspring – known as a Joey – once every 12 months. The Wallaby’s ears are very sensitive and are its first line of defence in that it will bound away from a predator as soon as it hears one nearby. Each of its hind legs has an elastic tendon that allows the species catapult itself forward as its tail acts like a rudder, enabling the Wallaby to change direction quickly. Once hunted for their meat and fur and persecuted by ranchers and farmers, Wallabies are now a protected species. The move has seen their numbers in the wild increase in recent years and as the species is tolerant of alternative habitats, it is of Least Concern on the Endangered List. Similar in size to a grape when born, Joeys grow to 2,000 times its birth weight during the first six months of its life. 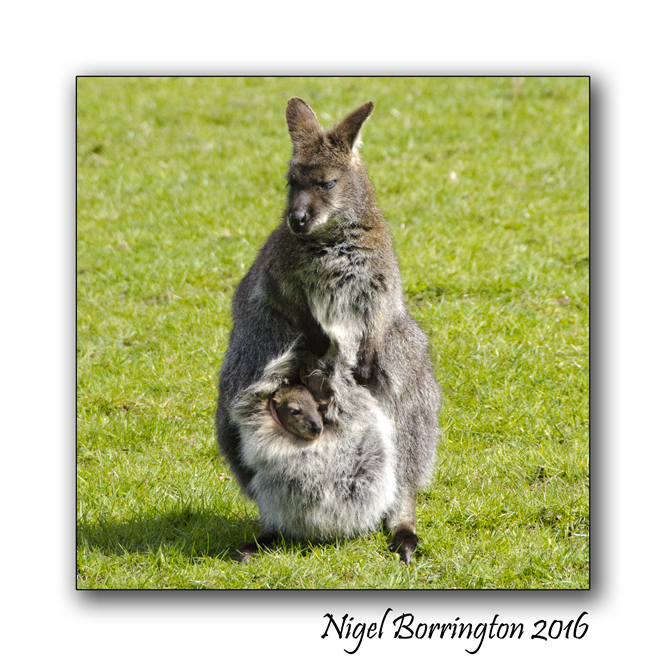 They begin to leave their mother’s pouch from about seven months and are fully independent at a year old. This entry was posted on April 19, 2016 by nigel borrington. 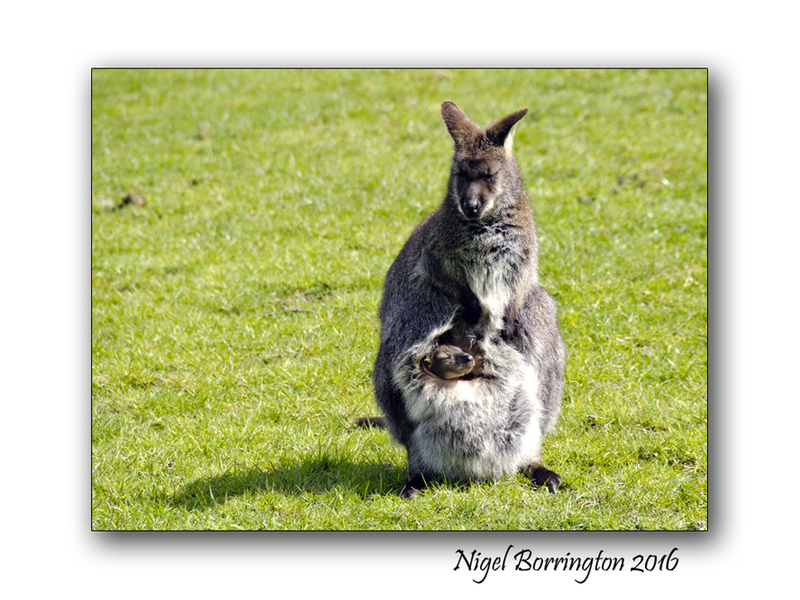 It was filed under Gallery, Nature and Wildlife, Nigel Borrington, Travel Locations and was tagged with Bennetts Wallaby, Cork, Fota island, Fota Wildlife park, irish nature photography, nature images, Nature photography, Nigel Borrington, Wallaby, wildlife images.